Is CNN Protecting Pencil Neck Schiff? RUSH: Now there’s all sorts of things coming to light in that investigation the Democrats don’t want anybody to know, which is basically that the Obama administration allowed the FBI and the intelligence agencies to work as campaign aides for Hillary Clinton. That is what we’re learning in each of the past few weeks. We are learning that Mueller’s team is infested with people, and now spouses, who worked on the Trump dossier. We now have a legitimate question to ask: Did the fake and fraudulent, phony dossier, was it used by Obama in October to get a FISA warrant that allowed surveillance of the Trump campaign? That is a question serious people are asking now because of the things we are learning about this guy Robert Ohr and his wife who worked for Fusion GPS, talking to Christopher Steele who wrote the thing while she was involved in the preparation of intelligence. I mean, these people, it’s incestuous. Everybody on Mueller’s team is a pledged anti-Never Trumpist. There isn’t anything fair about it. There isn’t anything legal about this. There isn’t anything logical about it. There’s nothing to investigate here. They can’t find anything. The only crimes they can find are the ones they are manufacturing during the process of the investigation. So that’s falling apart, and the things that we are learning about it, not good for them. And so it is time to move that story behind the curtain, let Mueller do what he does behind the closed doors, no reporting on it anymore. Instead, 59 female Congress women now magically demand a congressional investigation of sexual harassment allegations against Trump. They are desperate. Their accusers are weak at best and comical at worst. They’ve got nothing. They’re essentially throwing different piles of manure up against the wall every other week to see which one sticks. The collusion thing stuck for a while but it didn’t lead anywhere. There isn’t a Russian hack that anybody can prove. Therefore, they can’t prove any collusion. CNN was humiliated and embarrassed on Friday by giving up the game. CNN willingly published and went with a story they knew was wrong. And if they didn’t know it was wrong, they’ve got some serious questions to ask themselves. There were two sources they claim that gave them that email from a listener, from a citizen claiming to have the encryption key 10 days before WikiLeaks posted all that stuff they had. It was supposedly offered to Trump 10 days before WikiLeaks posted it, but they got the date wrong by nine days, and the email was offering an encryption key to WikiLeaks data that was already public, already posted on the internet. CNN was either lied to by sources… CNN’s got some real questions to ask themselves about how they want to deal with this, and before we can know what those questions are, we have to know what CNN knew. Did CNN know that this was bogus? Did they, or did they not question their sources? And who are these sources? Normally, journalists don’t like to out sources. But whoever these sources are embarrassed CNN as badly as a news organization has ever been shamed and embarrassed. Now, in this circumstance, you would think CNN would cast these sources aside and never use them again because they’ve been shown to be totally untrustworthy. 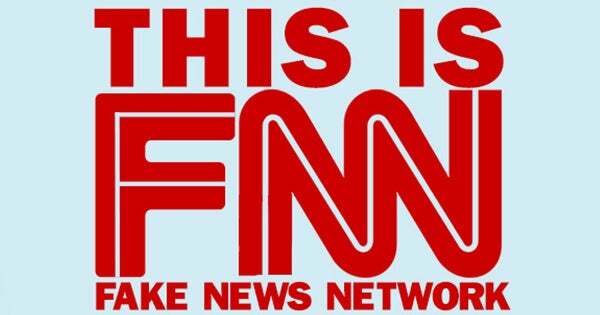 CNN was lied to and set up — unless CNN knew. What if one or two of the sources are actual Democrats on the Intelligence Committee? What if the sources… We know the sources knew that what they had was bogus. They gave it to CNN. CNN is telling us they didn’t question the sources because they’ve been so reliable in the past. Now, there’s an interesting story here, too, that is unrel… Well, it’s unrelated officially. It’s a Wall Street Journal piece by James Freeman. The headline: “Is CNN Protecting Adam Schiff?” This is Pencil Neck Adam Schiff, the Democrat ranking member of the House Intelligence Committee. Is Adam Schiff one of the sources that leaked this bogus story to CNN? We don’t know. Mr. Freeman starts, “We’re certainly living in strange times when the ranking member of the House Intelligence Committee is among the most media-friendly lawmakers in Washington. “The times would be less strange if the media were a little less friendly in return.” This is a story about how the media (and particularly CNN) loves Adam Schiff. They put him on all the time, and they never ask him hardball questions. They just accept everything he says, and they report it — no questioning, no challenging — and he’s nothing but a rock-ribbed, uber-partisan. He’s still going on talk shows and making baseless allegations about Trump and the Republicans. He declines to back up his allegations, falling back on, “Well, it’s intelligence data and I can’t really make it public.” And even though he offers no proof, no evidence of any of his allegations, the Drive-By Media keeps happily putting him on the air, especially CNN. He is free of facts. He doesn’t offer news. He doesn’t offer facts. He just goes on these programs and gives his phony analysis of what they have. He alludes that there’s blockbuster news waiting to be exposed, but it never happens. And what he really does is just go on CNN, the Drive-By Media every day and slur Donald Trump, and they let it happen. They don’t demand proof of any allegations. They just stand aside and let Schiff run off at the mouth. Is he one of the sources? Is he one of the people that gave CNN their bogus story? Wall Street Journal: Is CNN Protecting Adam Schiff?